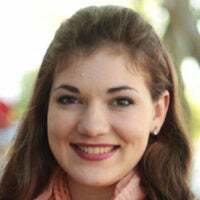 Kristiana Bolzman is development manager at the Independent Institute, a non-partisan think tank in the San Francisco Bay Area. The views expressed in writing are her own. In response to the study, some media outlets are now calling on the U.S. to spend more on education. But they’re mistaken: The issue isn’t how much we’re spending, it’s how we’re spending. So before we run to our checkbooks, let’s remember that investment doesn’t always mean spending more—it often means spending better.